Extra-wide wristbands for extra effect. 50% wider, 50% more effective. Phat bands are extra-wide, with more room for art and lettering for maximum promotion of your message. Three-quarters of an inch of pure, solid silicone. 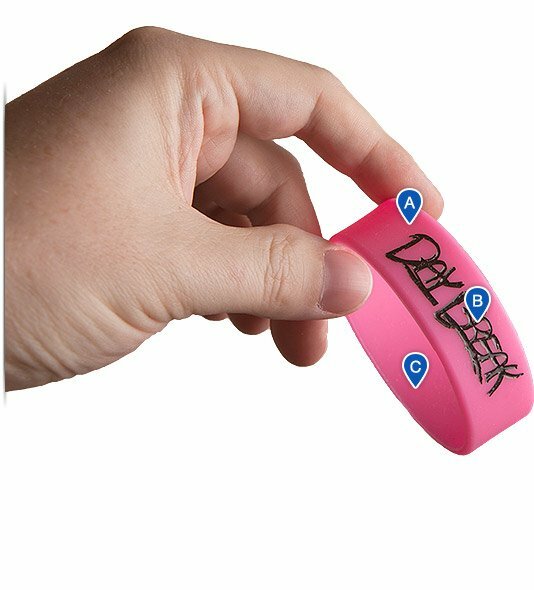 Making a statement with custom Reminderband "phat" wristbands. 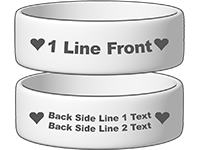 For wristbands with more impact, Reminderband “phat” wristbands are 50% wider, giving you more canvas for your message with the same high quality and durability of our standard bands. Available in two sizes and all stock colors or camouflage or multicolor. Custom colors are also available. See it in action in our 3D viewer at right – a purple Phat band with lime green color-fill text is displayed.